Many of the ornamental and fruit breeders, united in CIOPORA since 1961, have been writing the history of the breeding industry for more than a century. On April 1 and 2, 2014, CIOPORA members will also receive an opportunity to define its future by providing their input to the texts of the CIOPORA’s new Position Papers on IP. Over the period of 18 months, CIOPORA has been working on its new position papers on IP. 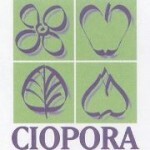 Throughout the first decade of the XXI century, „CIOPORA Green Paper“ (2002), as well as the CIOPORA’s position papers on EDV, Biodiversity and Infringement have served as the compendium of the association’s official positions on Intellectual Property protection for plant innovation. Reacting to the rapidly changing market conditions and the pressing need for a stronger protection of the breeders’ innovations, CIOPORA decided to review and update its policy statements. As many breeders feel that the UPOV system, even the 1991 act, is not up-to-date anymore, it is the primary task of CIOPORA to create a vision of the effective system of PBR protection for breeders and to work towards its realization. According to the President of CIOPORA Andrea Mansuino, the highest priority of this process is to ensure that CIOPORA’s new Position Papers on IP reflect the current opinions and interests of its members. This is achieved by allowing CIOPORA members to contribute to the new Position Papers via open and direct participation. In the course of 2012-2014, the work on the new IP Position Papers has been done in several steps, including the kick-off Conference in Venlo in September 2012, the initial drafting of the papers, the call for and the collection of the written feedback from members, and its review and incorporation into the second drafts by the CIOPORA Board. The latest drafts include papers on Essentially Derived Varieties, Minimum Distance, Scope of Right, Patents for Plant Related Inventions, and Additional Requests, with the latter addressing such matters as variety denominations, application and PBR granting process, DUS examinations, enforcement, and other related issues. Furthermore, the first drafts on Breeders’ Exemption and Exhaustion has been circulated recently and CIOPORA is currently awaiting the feedback of the members. During the upcoming Annual General Meeting, which will take place from March 31 to April 3 in The Hague, the Netherlands, the CIOPORA members are invited to participate in a number of IP workshops focusing on the topics of the Paper drafts. The CIOPORA Board hopes that first drafts of the Position Papers on IP will be adopted on April 2 during the general IP session of the AGM. If necessary, the work on the further drafts will continue throughout 2014, since the main goal is to ensure the highest level of representation of breeders’ interests in the final compendium of policy statements, which will eventually replace the current version of the „CIOPORA Green Paper“. This year the participants of the Open Part of the AGM in The Hague will meet Mr. Jan de Visser, the Senior Director and IP counseling and acquisition manager at Philips Intellectual Property & Standards, Mrs. Anke van den Hurk, the Deputy Director of Plantum, Mr. Leo Melchers, the Global Head of Licensing at Syngenta, and Mr. Bernd Feenstra, the Head of Agricultural department at ABN-AMRO. The presentation will cover a number of highly interesting IP related matters, including the IP strategy of the major producer of electronics, the issues of biodiversity and its role for the future of plant breeding, the FRAND-licensing of IP rights, as well as insight into the future of the global horticulture from the point of view of an experienced financier. More information about the CIOPORA AGM Week in The Hague under agm.ciopora.org.